A month after an Uber-owned autonomous car struck and killed a pedestrian in Arizona, the ride-hailing giant is stepping back into the limelight to announce it wants to be everything. No, really. On Wednesday, the company announced it’s expanding a newly-acquired bike-sharing service, launching a new car-sharing service, and planning to let Uber users buy public transit fare through its smartphone app. Uber announced earlier this week that it had acquired Jump, a dockless bike-sharing service, but the new moves laid out by CEO Dara Khosrowshahi represent a “new direction” for the beleaguered company. And instead of fighting cities—a longstanding tradition for Uber—Khosrowshahi says he wants to work with them. How nice. “That’s why we want to provide alternatives to personal car ownership by bringing together multiple modes of transportation right in our app,” he wrote in a blog post Wednesday. After acquiring Jump this week in a reported $100 million deal, Uber said it’s adding Washington D.C. to the service area, after previously piloting the effort in San Francisco. Uber users in D.C. can now use the Uber app to find a Jump pedal-assist electric bike, the company said. Additionally—and weirdly—the company’s testing out a new car-sharing service called Uber Rent, using a service called San Francisco. 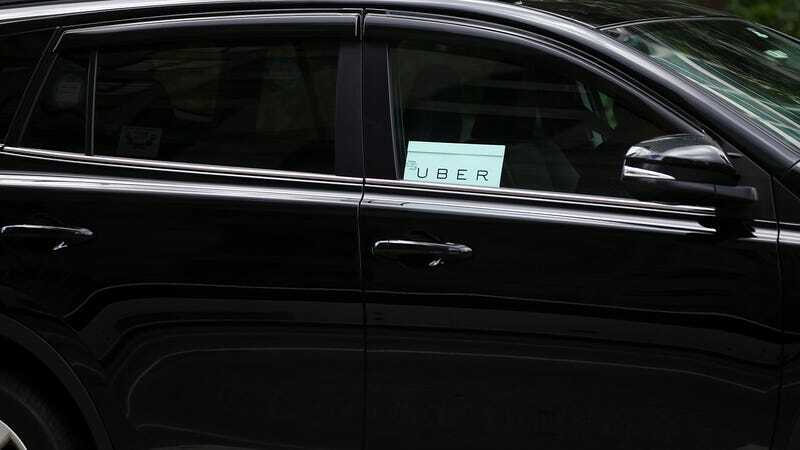 Starting later this month, San Francisco residents could rent cars instantly from the Uber app, giving people a chance to rent any sort of car for a few hours or more. Uber says it’s ideally aiming to reduce car ownership—even though multiple studies have shown ride-hailing doesn’t ease congestion—so it’s hard to see how Uber Rent fits into the equation. Khosrowshahi thinks it’ll create a scenario where “fewer people will need to store [cars] in garages for those sporadic grocery store runs, daytime adventures, or weekend getaways.” OK, then. What I’ve been waiting to hear is if the company still wants to continue developing autonomous driving technology. Khosrowshahi indicated recently that Uber’s program was up in the air, but he said Thursday that self-driving cars have a future with the company. “We believe in it,” he said, adding that Uber considered autonomous vehicles “part of the solution” and in the long-term key to eliminating individual car ownership. “Autonomous (vehicles) at maturity will be safer,” he said. Khosrowshahi still doesn’t seem to be grappling with the fact that Uber and its cohorts could cannibalize public transit use—a problem in its own right—and yet Uber’s trying to find a way to encompass and handle all forms of transportation. Given all of the company’s issues over the last few years, it’s hard not to at least feel a little uneasy about it.